The first invention we’ll be building with the Annoyatron is a ‘ticking’ sound that people will think is coming from a clock. This is an especially good prank to try in rooms that don’t have a clock – people will get super-confused as they try to work out where the sound is coming from! Have you installed the coding software? This project only works in certain browsers. Internet Explorer & Microsoft Edge will not work with this project. You should have already downloaded and installed this earlier. The app is used to send computer ‘code’, or instructions, to the Brain Board for each invention. Open the ‘Tools’ menu and select the option that says ‘Arduino/Genuino Uno’. Make sure you do this every time you connect the Brain Board to a computer. The box to the right contains some sample code. Use your cursor to select everything in this box, right click, and select ‘Copy’. Switch to the coding application and delete any text already there. Right click and select ‘Paste’ to insert the sample code. In the sample code you just copied, you should see a setup and a loop section. 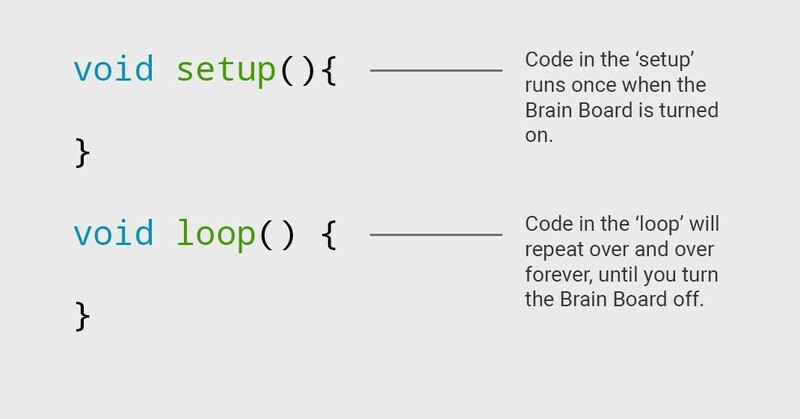 We’re going to focus on the loop section, because code in here will repeat over and over again. This means that once we make a ticking sound, it will go on forever and ever. Now we’re going to write some code inside the loop. These instructions will be executed line-by-line, from top to bottom. Replace the line that says “put your code here” with the code to the right. Don’t forget the curly brace on the last line. Wow! That was quick. You’re ready to test out your code. Click the upload button to send it to the Brain Board. The button is near the top of the window and has an arrow pointing to the right. You should now hear a ticking noise. Not working? Need some help? 05. How does this all work? DigitalWrite is used to turn things on or off, like a buzzer or a light. A delay pauses the program for a certain number of milliseconds. 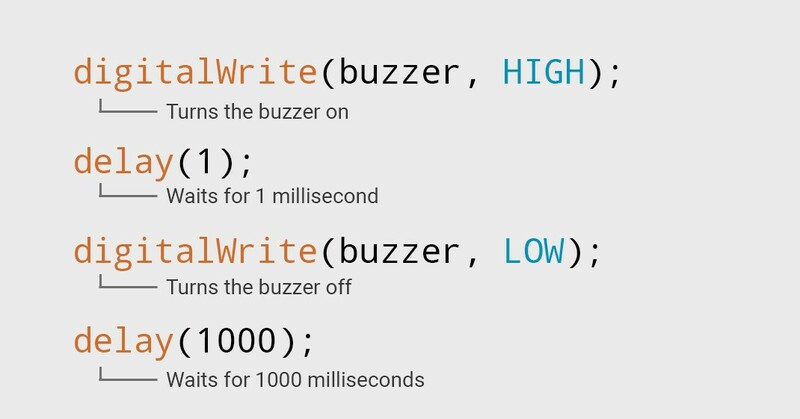 Because the instructions are read from top to bottom, this means that the code turns the buzzer on for 1 millisecond (a thousandth of a second) to make a short ‘tick’ sound, before turning off again for a second. 1000 milliseconds = 1 second. In computer coding, we often use milliseconds rather than seconds when talking about time. If we’re honest with you, the sound of a ticking clock isn’t that annoying unless you’re subjected to it for a long time. Click on the boxes to the right to for challenges and activities to help to make your invention more annoying and to take it to the next level. Click here to stop the noise. Design your own 3D printed case for this project, or use one of ours. 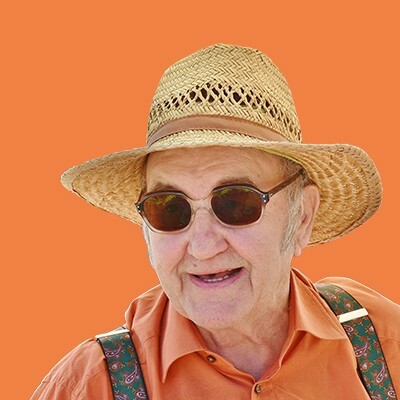 Get some cool ideas on how you can use this project. Some of them are pretty genius, if we say so ourselves. Take a look at line 14 in the code. This is a delay – a short break between the instruction that comes before it and the line of code after it. Here, the buzzer turns on for just one millisecond before turning off again – that’s because the tick of a clock is short and sharp. However, short and sharp is a little boring. Let’s increase this value to make it a little more like a ‘beep’, or a ‘yeeeeeep’! 02. Make it loud. Make it annoying. 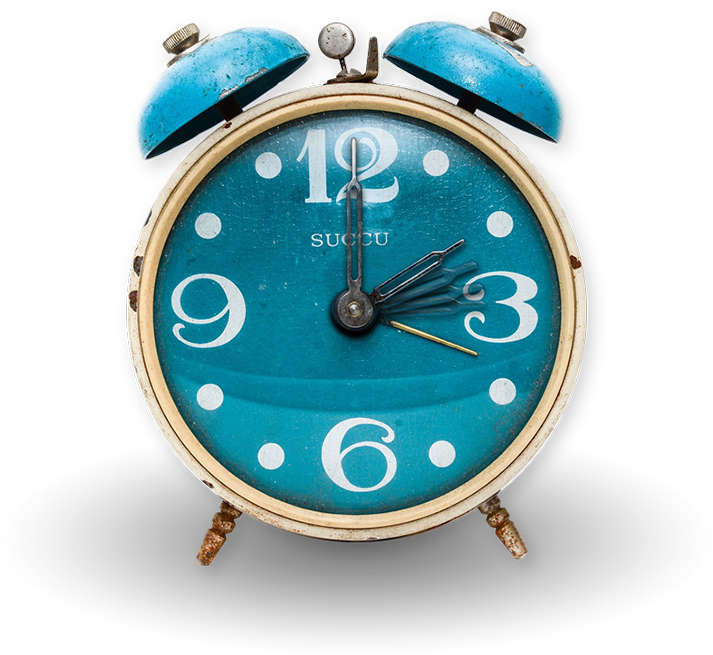 Another thing that we can change in our program is the time between each tick (or beep!). This is done by changing the number in the brackets on line 16. Again, we are using a delay to pause the program for a set amount of time. 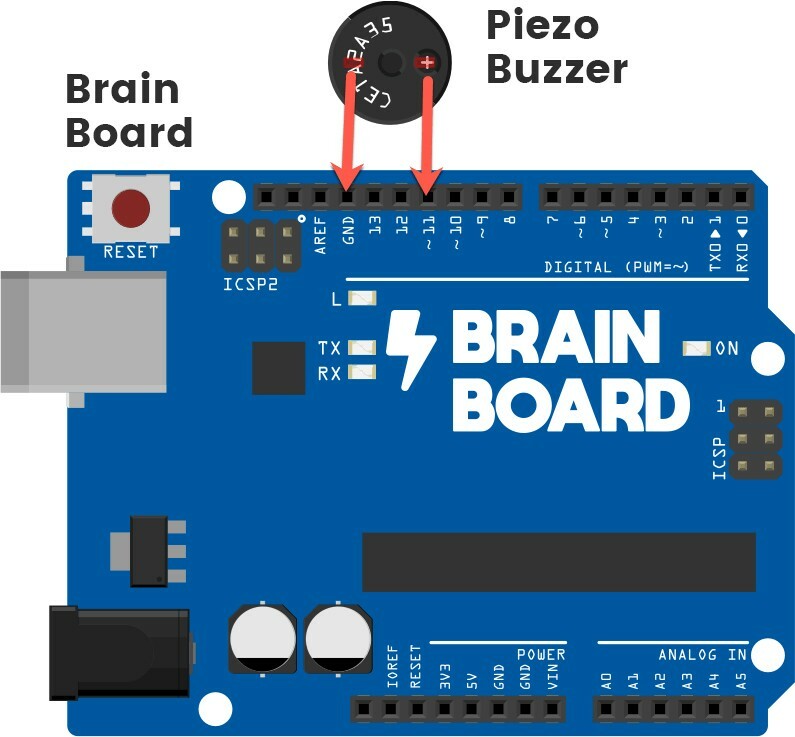 Never connect the Brain Board with the USB cable and a 9V battery at the same time. Let’s have some fun! Here are some cool tips, tricks and ideas for using this invention. Finished this invention? Start the next project.